The T6376 thermostats are designed to control the valves, the fan and the compressor in split units, heatpumps and small air conditioners. All from one thermostat. The T6377 thermostats are designed to control the valves, the fan and the compressor in split units, heatpumps and small air conditioners. All from one thermostat. 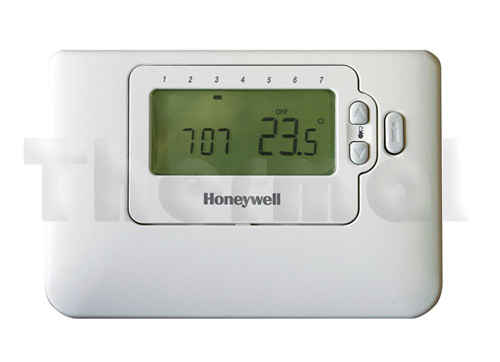 The TH5110D Non-Programmable thermostat provides electronic control of 24Vac, single stage heating and cooling systems or 750mV heating systems. 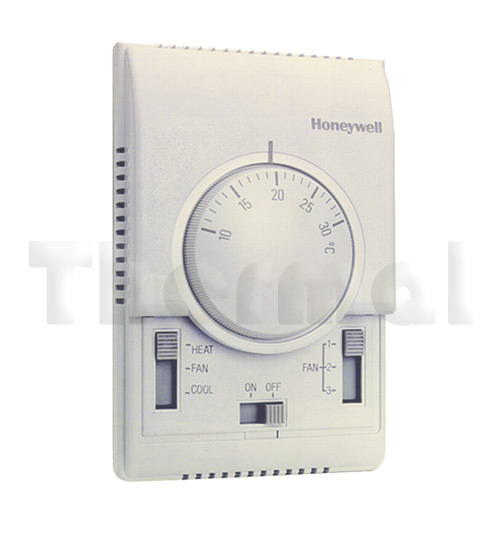 The TH6110D is a Programmable Thermostat and provides electronic control of 24Vac, single stage heating and cooling systems or 750mV heating systems. 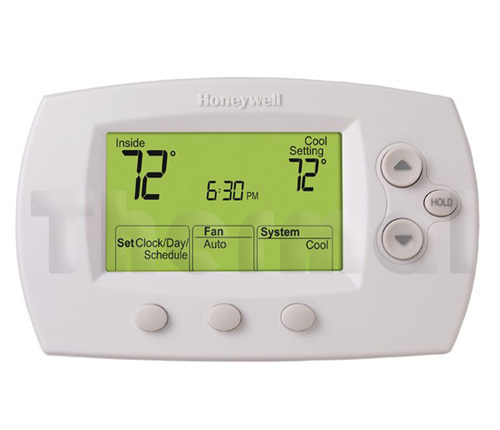 The TH8110 is an effortless, 7-Day programmable thermostat that provides universal system compatibility, precise comfort control, touchscreen, and is easy-to-program. 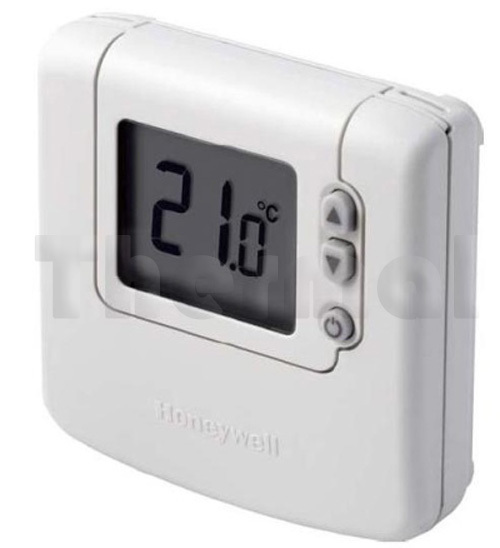 These thermostats provide temperature control for gas, oil, electric and heat pumps for 1 heat, 1 cool systems. 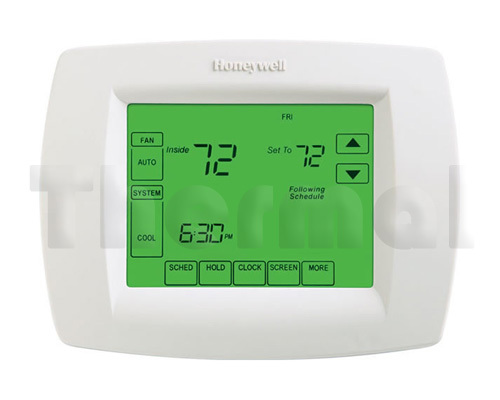 The CM707 is a slim, 7 day programmable thermostat, with 12/24hr time display, 4 independant time/temp changes per day, temporary temp overide, holiday setting, EEPROM memory and more. It can be used as part of a system in conjunction with combi-boilers, oil-burners and gas fired boilers, circulation pumps, thermal actuators, zone valves and electric heat systems (<5A). 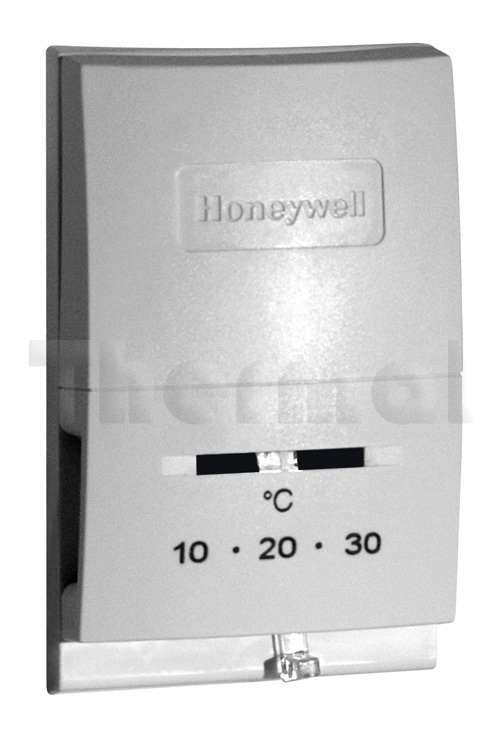 24/230V 5(2)A rated, 5–35°C temp range in 0.5°C increments and takes 2×AA Batteries (low battery warning indicator). 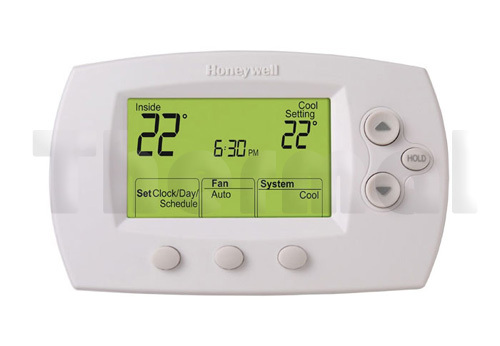 The CM907 is a slim, 7-day programmable thermostat similar in appearance to the CM707, but has a lot more functionality. Comes with a backlit, large LCD display with dynamic text, 6 independent time/temp changes per day, Party/Day Off and Holiday features, EEPROM memory and more. It can be used as part of a system in conjunction with combi-boilers, oil-burners and gas fired boilers, circulation pumps, thermal actuators, zone valves and electric heat systems (<8A). 24/230V 5(2)A rated, 5–35°C temp range in 0.5°C increments and takes 2×AA Batteries (low battery warning indicator). 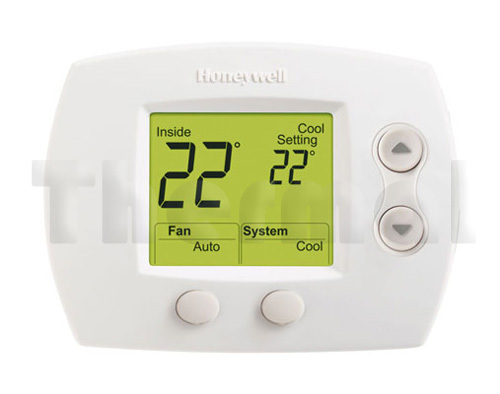 The TH6220D is a Programmable Thermostat and provides electronic control of 24Vac, single stage and multi-stage heating and cooling systems or 750mV heating systems. 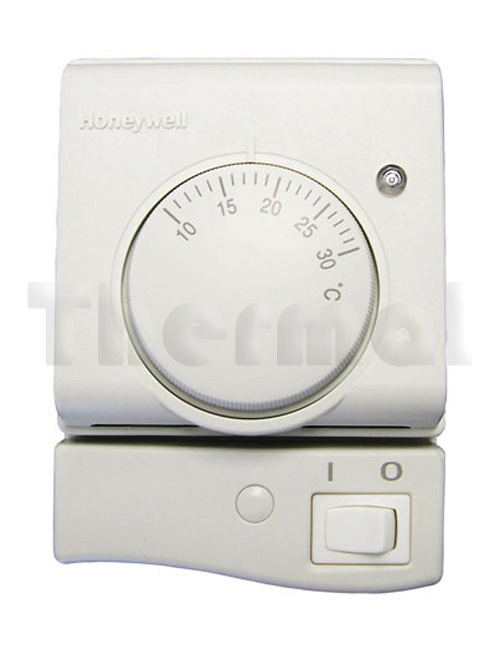 The T822D, vertically mounts on the wall to control your heating system. Features a unique setting lever and thermometer scale. Straight-in wiring capability makes installation easy. 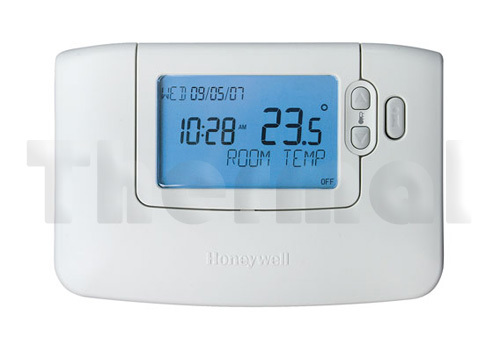 The DT90 room thermostat is a simple room thermostat with a large digital display. Simple Up, Down On/Off operation. 24–230V SPDT switching suits 2-wire installation. Temperature range of 5–35°C, in 0.5°C increments.